Blow it up and rebuild. Flames management took several sticks of dynamite to the goaltending position over the summer and while I obviously mean that in the figurative sense, saying the scattered remains turned up all over the world is very much true in the literal sense. Karri Ramo ended up in North America, although his status is still up in the air. 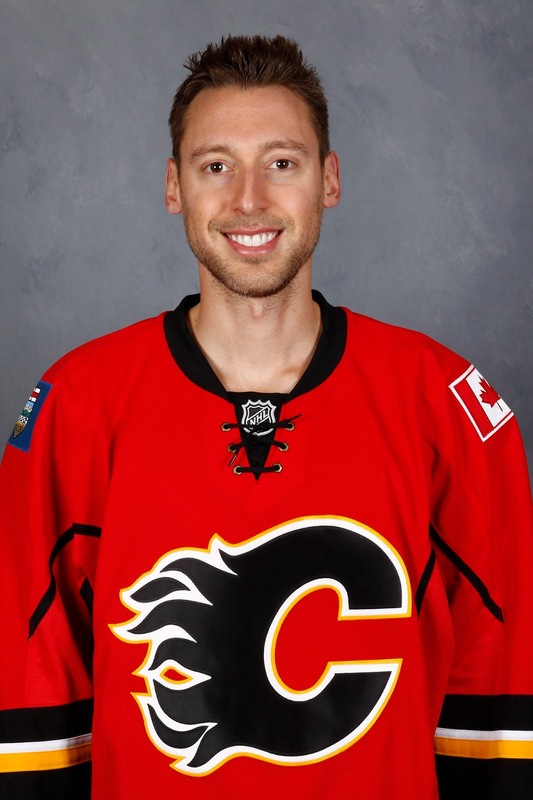 In a mass exodus, gone from the club were all five players that were on NHL contracts in 2015-16 that either saw time between the pipes for Calgary last season or had previous NHL experience. And by gone, I mean not just playing for another team, but out of the league entirely. On Sunday morning while the Flames hit the ice for practice, before flying out to Arizona, I sat down with Flames assistant general manager Brad Pascall, to discuss the improvements the team was determined to make in net and have delivered on. "You can't be 30th and want to be team that competes for a Stanley Cup," says Pascall, noting where the goaltending ranked a year ago. "When Brad (Treliving), Craig (Conroy) and I met and asked what are our priorities in the summertime, number one was goaltending. Solidifying and improving that position." How they went about it wasn't a minor tweak either. This was an overhaul. "We looked and said what do we have in the American League, what do we have for depth, and most importantly, what do we have in the NHL," says Pascall. "How can we enhance the position, what players is that going to be and ultimately, what can we afford on our cap? But knowing that position is paramount, we took those steps and said here are the goalies we feel most comfortable with." While Elliott's struggles have been well-documented -- currently mired in seven-game winless skid (0-6-1) -- Johnson, Rittich and Parsons have all been excellent. It's also too early to write-off Elliott, who had established himself over the previous five seasons as one of the NHL's best goaltenders. 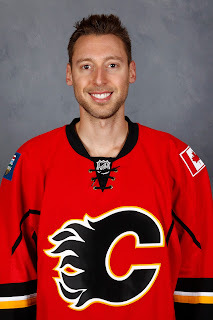 The 31-year-old had the misfortune of being in net for a majority of the early-season games when the Flames defensive play on a nightly basis resembled a poorly executed fire drill. With a hectic schedule that resulted in little practice time, it took players time to adapt to the new systems implemented by first-year coach Glen Gulutzan and Elliott, perhaps more than anyone, paid the price. Elliott's past two appearances have been just fine. In his last start on Nov. 28, he had a solid night going against the New York Islanders, stopping 25 of 26 shots, before a Thomas Hickey deflection squirted under his arm in overtime. Sent out to start the third period against Tampa Bay last week, his first appearance in 16 days, the rust was noticeable as he promptly gave up a juicy rebound that was fired past him by Alex Killorn but in the end, he stopped 12 of 13. Elliott is expected to start Monday night in Arizona and with the team playing a better defensive game now, opportunity is there for him to get on the type of roll that he is capable of. Pascall, who was a defenceman in his playing days, agrees that the relationship between a goaltender and how the team plays in front of him can be a vicious cycle. When the goalie struggles, it affects how the defence plays. When the defence struggles, it affects how the goalie plays. "It impacts you a lot. It's your mental make-up," says Pascall, a Buffalo Sabres fifth round pick in 1990, who spent his three pro seasons between the ECHL and AHL. "Just the confidence it provides to you as a player when you know a big, timely save will come. At times last year, we lacked that and statistically it showed." While the three-headed monster to start last season in Calgary was the predominant storyline, things were even worse in Stockton where it wasn't a case of too many goaltenders, but instead it was not enough. As the GM for the Heat, Pascall did not want to experience a repeat of that. "It was an area we had to improve upon. If you look at my day-to-day stuff in Stockton, we went through the most goalies of anybody in the American League. I think there were 10 or 11 with the guys coming in on a PTO. Even myself, I was like hey, I don't want to go through that again. I want to make sure we have good depth and if we end up -- knock on wood -- with a couple injuries, whether it's up top or in the AHL, it's not going to come down to me recycling guys in and out of the line-up." This speaks to the signing to a two-year deal of 27-year-old AHL veteran Tom McCollum on Oct. 15 when the organization already had two guys in the NHL and two guys in the AHL. Certainly, it's safe to assume there was an expansion draft aspect to that signing as the Flames needed to add a goalie to expose next June when Las Vegas selects its inaugural roster, but also, it was a move made to ensure there was adequate depth and competition throughout the organization. We've seen the battle that has emerged on the NHL club for the No. 1 job between Johnson and Elliott. Similar wars are being waged throughout all levels of the organization. "Competition is good," says Pascall. 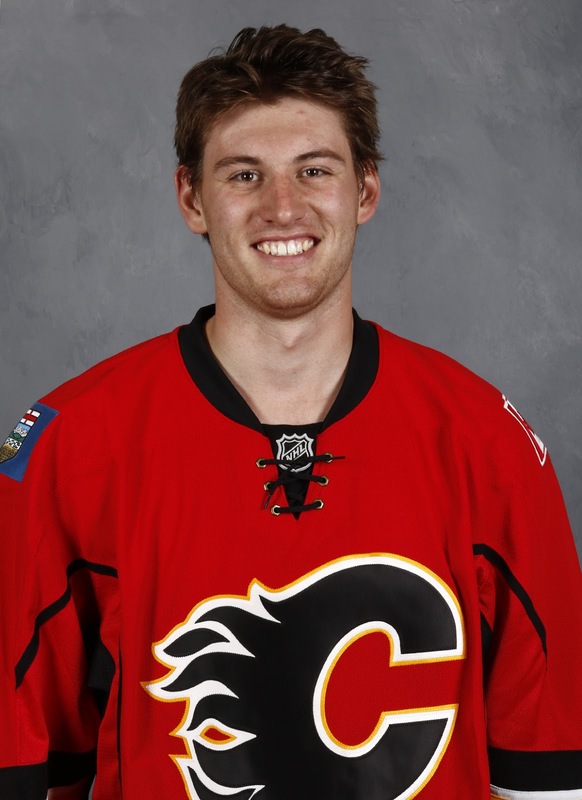 "If you think about Jon Gillies, throughout his career he's always been the No. 1 guy and the go-to guy. So for him to be pushed with a guy like David Rittich and how he's done in the last month-and-a-half is good competition. And in the last couple games, we've seen how Jon has responded by getting a couple wins." After Gillies was pulled less than 14 minutes into the game on Dec. 10, after giving up three goals on eight shots, Heat coach Ryan Huska turned to Rittich for the next start. When Gillies got back in the crease on Friday for games on consecutive nights in San Diego, he was spectacular in stopping 92 of the 96 shots faced. His 48 saves the next night in a 3-1 victory was a career-high. "He played an outstanding game. It was real positive. Especially to win on the road, back to back games, that's always difficult," says Pascall. One hundred percent recovered from his season-ending hip surgery a year ago, Gillies is having himself a pretty nice season too with a 9-3-3 record, a 2.71 goals-against average and a .916 save percentage. 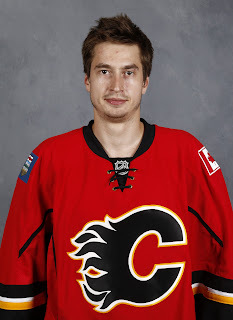 At the same time, Rittich continues to look like a nice find by the Flames scouting staff. "A great kid, competitive guy, well-liked and he works hard," says Pascall. "He's been doing really well." For McCollum, after starting in the AHL, now he's down in the ECHL pushing 2014 second rounder Mason McDonald for playing time. McDonald is in his first pro season and while his win-loss record has benefitted being part of a good team in Adirondack, not facing many shots can result in subpar statistics if you're not stopping all of them. But as he makes his transition to the next level, his statistics are starting to improve. On the season, McDonald is 8-4-1 with a 2.65 goals-against average and .897 save percentage. However, going back to Nov. 6, he's got a 2.51 GAA and a .911 SV%. That first pro season for a guy making the jump from junior can often feature a lot of inconsistency. "When we met with Mason in Stockton and sent him to the ECHL, we had a list of NHL goalies that have spent time in the ECHL and have gone on to succeed, and why they went down there was to play," says Pascall. "It's not that he needed to hear it or he was disappointed and we had to convince him to go, that wasn't the case at all, it's just more of reassuring him that this is the best thing for your development. We make decisions based on your development and you have to play games, that's the bottom line." 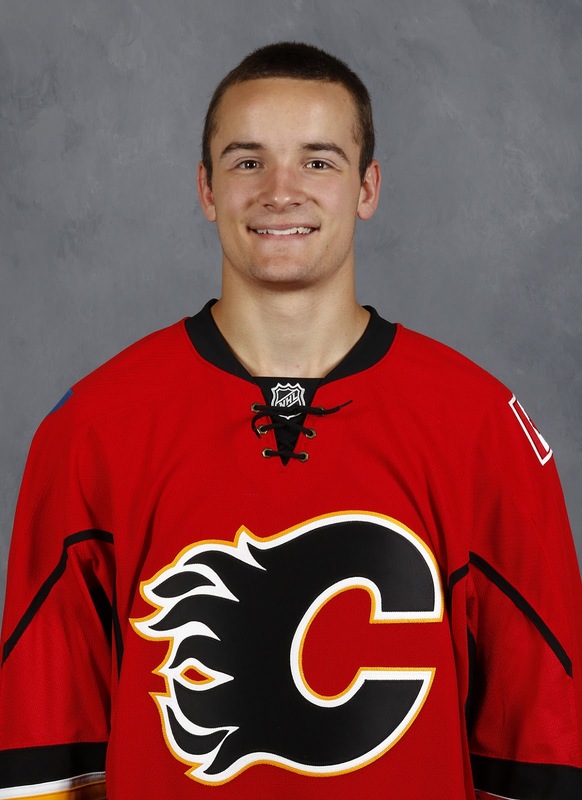 Gillies is considered one of the Flames top young prospects. 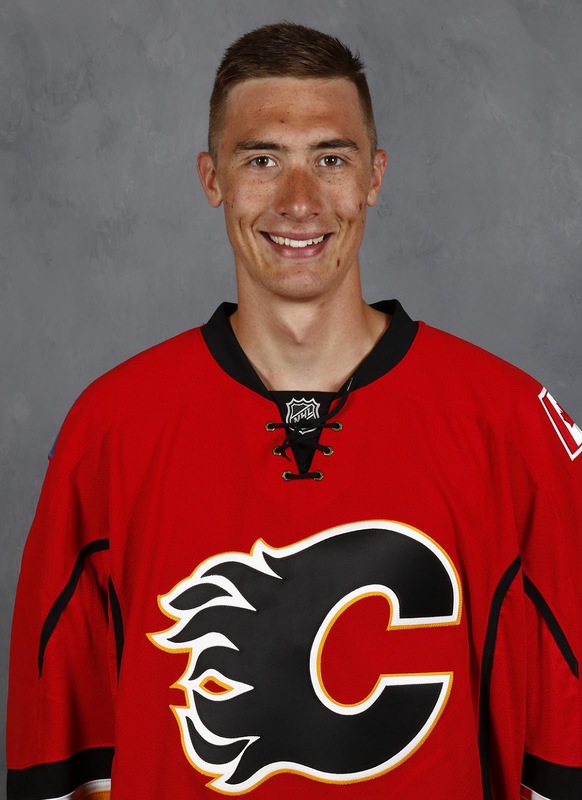 In my most recent Flames prospect rankings in the summer, I had him at No. 2 behind Matthew Tkachuk. But with the latter a regular in the NHL now, you can safely elevate Gillies -- a 2012 third round pick -- into that top spot. 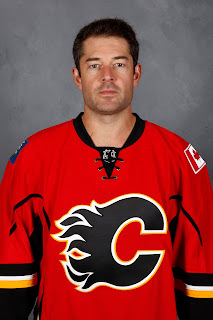 While I have no doubt on the Flames whiteboard as they project what Calgary's situation could look like in net three years from now, they have Gillies pencilled in, the key is not relying entirely on that one guy to pan out. After all, if there's one organization that should know that you just never know when it comes to goaltenders, it's Calgary. Since the Flames moved from Atlanta to Calgary in 1980, they have drafted 28 goaltenders. Only three have developed into players that spent any substantial time with Calgary at the NHL level. That's it. Three guys in 36 years and McElhinney was far from an impact guy, appearing in only 29 games while working as the caddy to Miikka Kiprusoff. Over that span there have been plenty of notable misses. Leland Irving (2006), Brent Krahn (2000) and Jason Muzzatti (1988) were all first round picks, and who could forget burly second round bust Andrei Medvedev (2001). "It goes without saying and it's an obvious statement but the goaltending position is paramount," says Pascall. "For us to solidify that by getting Parsons where we did, drafting McDonald where he was, we feel confident in the players we've taken and we like them. Once they're under our wing, it's how we further develop them." Player development is an area that a lot of effort goes into and it doesn't start only once players sign a contract and turn pro, those plans are formulated as soon as they're a part of the organization. Regardless of whether they're in the AHL, junior, college or Europe, all Flames players have individual development plans that contains goals and objectives unique to each player. Updated throughout the year, the plan each player receives in the summer is updated again prior to the start of the season, and then again a couple times through the season. For the guys in net, Flames goaltender coach Jordan Sigalet is one of the central figures overseeing the performance of everyone. Stockton goaltender coach Colin Zulianello is another key figure in working with Gillies and Rittich, but also McDonald in the ECHL. "Jordan will get out to watch games live when his schedule allows, but he watches all the games online," says Pascall. "Between the two of them, they watch Schneider's games, they watch Parsons' games, and they watch McDonald's games. They work with their goalie coaches, they work with the athletes themselves and provide them feedback and send video back and forth." Also part of the mix are Flames development coaches Ray Edwards and Ron Sutter, who will also get out and watch games by Parsons and Nick Schneider (Medicine Hat, WHL) and do regular check-ins with them as well as their coaches. Flames management will also make a point of getting out to watch games on occasion. "It's a collective effort and a priority of our organization. Brad's vision of how we execute on it is hey, we've got to be leaders in player development so that's what we're trying to do and goaltending is a primary position on which you have to focus and that's why we have the manpower to do it," says Pascall. 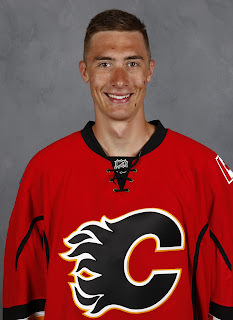 There can be no denying that Calgary's goaltending across the organization is improved this year. "Personnel-wise, numbers-wise, the players we have under contract that are performing well exceeds where we were last year, no question," says Pascall. "We've enhanced that area and guys are performing how they should and right now we're pleased with where we're at." It should come as no surprise that the more stable goaltending has resulted in all three teams experiencing better seasons than a year ago. Calgary (16-15-2) - Rattled off a six-game winning streak recently and are in the thick of a playoff race in the Western Conference. Stockton (16-6-2) - Has the fourth-best record in the 30-team AHL as they attempt to make the post-season for the first time in Huska's three years. Adirondack (14-6-5) - Have the sixth-best winning percentage in the 27-team ECHL and continue to roll along. While there will always be some change between the pipes every year, a "reforestation" as Pascall describes it as some players leave, guys move up, and you determine what holes you have for new acquisitions, it's safe to say the team is hoping to be less active next summer, feeling they've got some pieces in place now to be solid at this critical position for years to come. Sure, there is still the question about who will be in goal for the Flames in 2017-18 with Elliott and Johnson both on expiring contracts, but looking big picture, there is a growing list of candidates stacking up for the seasons after that. Too many goalies for not enough roles, now that is a problem Pascall and the management team anxiously look forward to.